Our mission. Citizens for Criminal Justice Reform works for a just, humane, and restorative judicial and correctional system by means of research, public education, legislative advocacy, coalition building, community organizing, and litigation. We support rational, cost-effective programs and policies that reduce crime, lower recidivism, and make our society safer. Our vision. CCJR seeks a system of justice that protects the community while promoting the rehabilitation of offenders and the well-being of inmate families. Build, empower, and mobilize an active statewide coalition. Debunk common myths and stereotypes about prison and offenders. Reform the criminal justice process to make it more restorative and less adversarial. Promote alternatives to incarceration which are less costly and more effective than prison, such as fines, counseling, community service, and restitution. Advocate for programs that maintain relationships between inmates and their loves ones. Work to reintegrate offenders back into their families and communities. Address addiction as a healthcare issue, not as a criminal offense, and redirect resources to prevention and treatment. Oppose mandatory minimum sentences and dangerous overcrowding in our jails and prisons. Serve as a networking resource for prisoners and their families. “The Granite State has long needed a voice like CCJR to challenge the myths behind decades of draconian state policies on crime.” — Chris Dornin, a former correctional counselor, retired State House reporter, and the founder of Citizens for Criminal Justice Reform. Become a member of CCJR-NH. Membership Lists are Strictly Confidential. 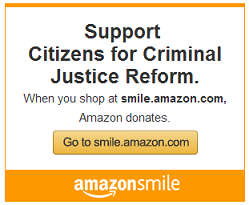 Supporting: Citizens for Criminal Justice Reform. I hope you can come to a public hearing this Friday, April 26, on 100 pages of proposed administrative rules by the Department of Corrections. Citizens for Criminal Justice Reform has worked for the last five years to bring about this meeting before the Joint Legislative Committee on Administrative Rules. No set standards, out-of-date technology and understaffing.